The pace of technological change is relentless across all spheres of life, and is only increasing. Whereas technological revolutions used to happen once every century, now they seem to happen every decade, and in some cases, every year. 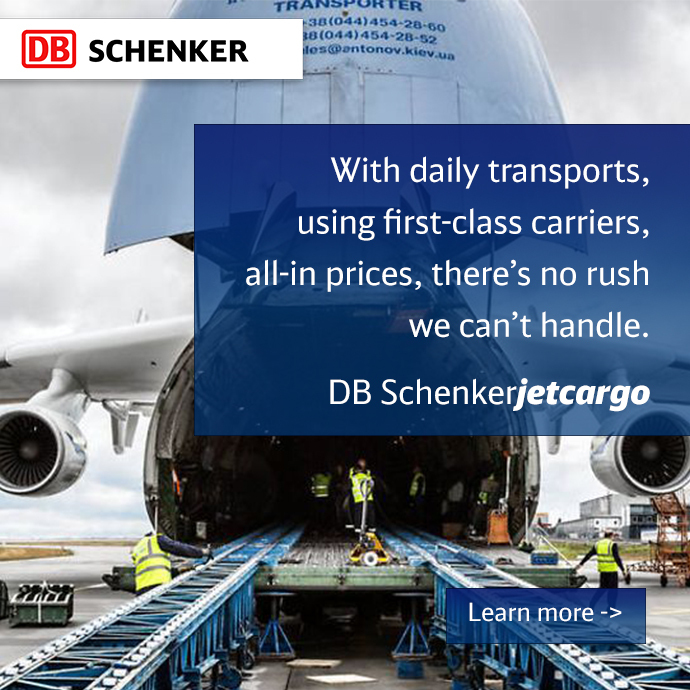 Global logistics and supply chains are not immune. In fact, the industry is poised for a paradigm shift, and it will be up to market players to position themselves in order to stay relevant. The current logistics model is more than 100 years old. As the demand for goods has increased, the capacity to transport them has expanded: ever-larger ships, more containers/TEUs, etc. At the same time, there is an acquisitions trend among competitors, with only four or five major companies expected to still be in the market by 2020. While the acquisition process doesn’t change the overall logistics scenario, it does create concerns, as fewer players means a concentration of power in the market. Conversely, it can also mean greater equipment availability armed with smarter technologies. In fact, this will dramatically affect how each company positions itself and competes in the market going forward. At their core, Blockchains are a way to distribute information. Blocks of information are distributed and accessed by several hub points, called “nodes”, that support a network. This is the basic technology behind Bitcoins, but it is rapidly being adopted across industries beyond financial sector. Blockchain is likewise advancing in the logistics industry. The technology provides a way to efficiently and securely monitor all steps of a process, such as transporting a product throughout the supply chain, sharing data among participants in the chain, and reducing inspection steps. This can result in greater transparency and security throughout the logistics process. 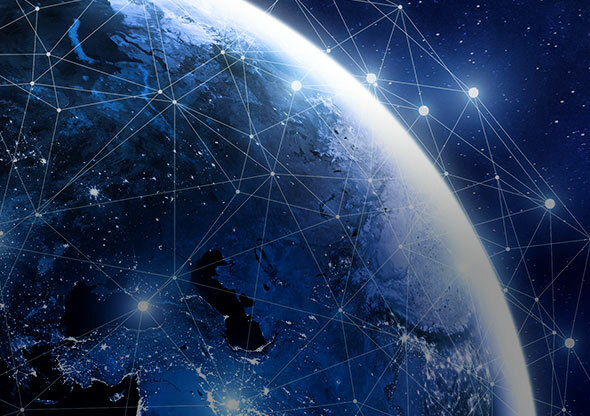 In addition, Blockchain networks assist in tracking and preventing fraud, loss, theft and malicious action, and thus facilitate better point-to-point monitoring. All information stored in a Blockchain network is accessible through encrypted keys, which protect the content from being misused. For the logistics industry, Blockchain promises to bring a profound evolution. The Internet of Things (or IoT) consists of any and all devices, from toasters to toothbrushes, that are connected to the internet. In 2017, 11 million new items per second were added, and by 2020, some 50 billion pieces of equipment are expected to be connected to the internet. IoT technology, combined with Blockchains, is redefining industrial markets, and change is imminent for global logistics companies. For example, increasing utilization of sensors across supply chain environments is producing a flood of information – via Blockchain or not – and all this new data is proving to be extremely valuable for monitoring logistics processes, and for decision making. Case in point: a load of vaccines is sent from Germany to Brazil. The sensitive cargo is packaged with sensors that monitor conditions during shipping, and the sensors are connected to the internet (thus part of the IoT). Data, such as position, temperature, humidity and the current person responsible for the shipment, is securely transmitted via the Blockchain network. When the customer in Brazil receives the vaccine load, they are able quickly access all transport-related data themselves using the Blockchain decryption keys. In this way, they are able to ensure that the vaccines were safely transported – and safe to use. Without Blockchain, the exporter, freight agents and/or logistics operators control the information; the customer is dependent on them. These technologies are therefore powerful tools that allow decisions to be made quickly and efficiently, identify failures, facilitate maintenance, and reduce risk throughout the shipping process. 3D printing is already changing the logistics landscape, for example in the aerospace parts industry. The theory is to put production closer to the customer, reducing lead times, shipping time and cost, while increasing the ease of production and customization. At first glance, 3D printing may seem to be a threat to logistic companies, but in fact the technology promises advantages and opportunities from a logistics perspective. With 3D printing, production can be immediately increased or reduced, according to demand. This can save time and reduce wasteful production. Parts or finished products can be manufactured in the same warehouses where they are stored. And as demand increases or decreases, production and warehousing can be relocated to areas with greater regional demand – something that would be cost prohibitive or impossible with traditional manufacturing. 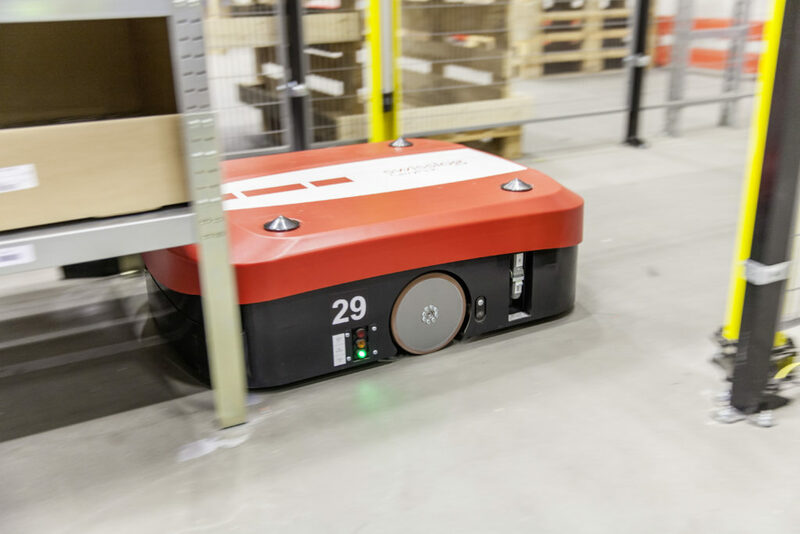 Logistics has already experienced a significant amount of robotization, mainly in warehouse operations. Now there is a rapid increase in the use of robots to both move materials and in the collection and transmission of information. Moreover, bots – robots that simulate the activity of a user – are increasingly replacing humans in low value-added operational activities. Using self-driving vehicles in warehouses, distribution centers and along the entire supply chain is a strong trend for the coming years. For example, in Germany there are already integrated projects between truck manufacturers and logistics operators that use caravans of trucks in semi-autonomous mode: the first truck is still driven by a human driver, but the others follow the leader by means of location sensors and high definition cameras. In the very near future, initiatives like these will change the logistics environment, especially from a cost perspective. The Big Data concept is already deeply embedded across multiple business areas, especially in e-commerce and retail operations. Considering that the innovations and technological improvements already mentioned all produce immense volumes of data, much of which was previously unavailable, we can expect Big Data to transform logistics as well. The ability to make decisions based on correct information – not past assumptions or outdated practices – will no doubt lead to the next wave of innovations in our industry. As the logistics industry undergoes unprecedented change, technology will prove to be a powerful ally that promises better process integration, automation, real-time fault identification, cost reduction, and decision making based on real information. Technology is only of benefit only depending on if and how it is applied. At the same time, future technologies will arise and will need to be adapted and integrated. These technologies will in turn produce even more data, which will need to be parsed. Sound chaotic? It really is, and it will be for a while going forward. It will therefore be up to logistics companies and their leaders to navigate all the changes. The result? Better information, decision making, efficiency, and profitability, and ultimately, better service for our customers. 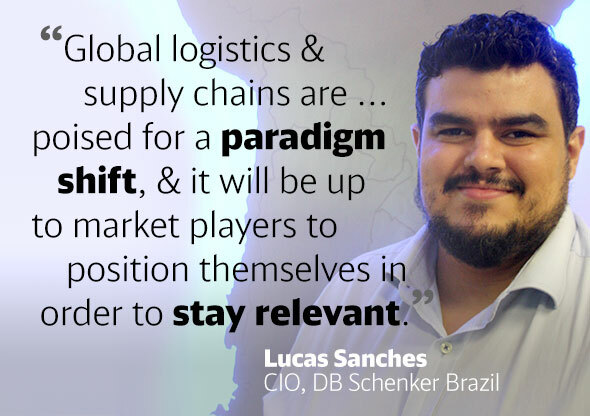 Lucas Sanches is CIO at DB Schenker Brazil. He is a Business Administrator, specializing in Project Management and Executive MBA. He has been working for multinational companies in IT for more than 13 years.